LinkedIn (s LNKD) has launched a new plug-in that allows companies to place an “Apply with LinkedIn” button on their job listings pages. The plug-in allows job hunters to apply for positions using their LinkedIn profiles as résumés. 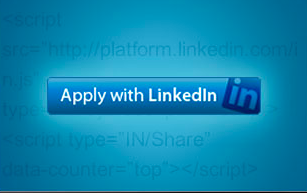 GigaOM was the first to report on the development of the “Apply with LinkedIn” plug-in in early June. By the looks of it, the plug-in that has been deployed has many of the features we had heard about pre-launch: Companies can customize the look of the button, add up to three specialized questions, prompt for a cover letter, and utilize certain data tracking technologies. Now any company can embed the plug-in by adding an eight-line code snippet to its corporate website, LinkedIn said. More than a thousand companies are participating in the plug-in’s launch by including the Apply with LinkedIn button on their job pages, including Netflix, (s NFLX) TripIt and Photobucket. 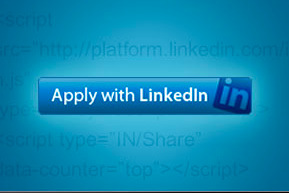 Once you click on the “Apply with LinkedIn” button, you’ll get a user experience that’s been optimized for the web. In addition to updating your profile real time, LinkedIn will also show you your professional connections that work at the company to increase your chances of getting hired through a referral. If you don’t know anybody at the company, we’ll show you people who can introduce you to someone there. This is extremely powerful –- statistics show that referrals are the #1 source of external hires at companies. Finally, we record all “Apply with LinkedIn” submissions in the “Saved Jobs” tab (under the Jobs category on LinkedIn) so you have a record of all the jobs you’ve applied to around the web, throughout your career. I’m regular user of linkedin and I’m so glad to read this amazing blog here I’ll try to read some more informational blogs on this amazing website.